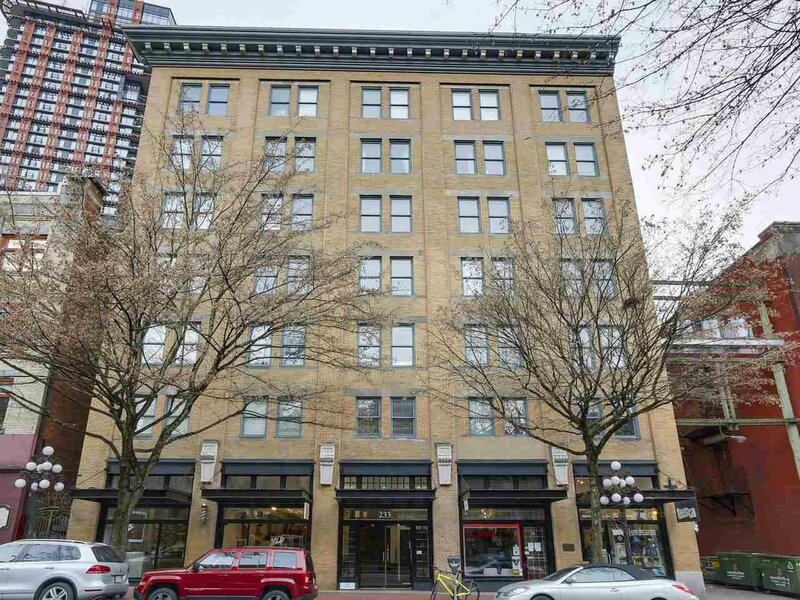 706 - 233 Abbott Street, Vancouver - SOLD | Severo Dalla-Valle - Domicile Real Estate Corp.
Live in the heart of historic Gastown! This trendy Sub Penthouse studio unit is perfect for an investor or first time home buyer. This heritage building was converted in 1996 and has new piping, roof and lobby. The exposed brick and concrete walls give that classic New York loft feel. This unit is move in ready, complete with updated flooring, kitchen and bathroom. Walking distance to the best shops, restaurants and easy access to public transit in Gastown. Rentals and pets are okay, bike lockers available.